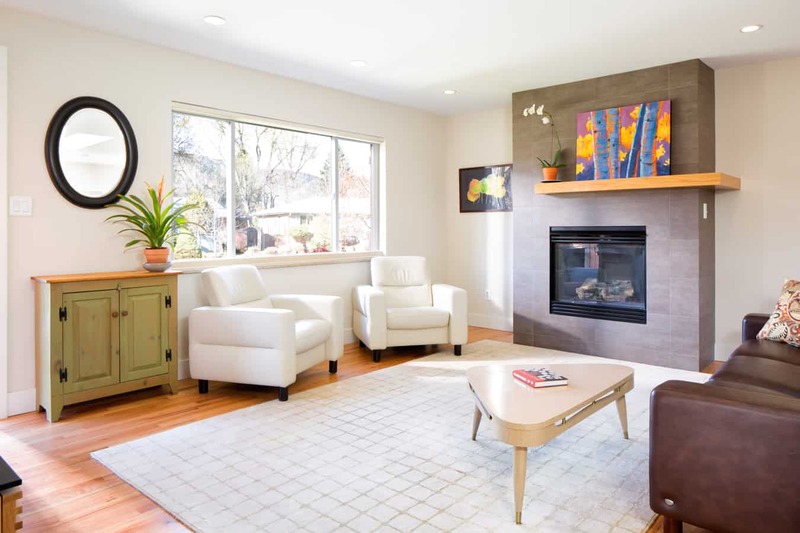 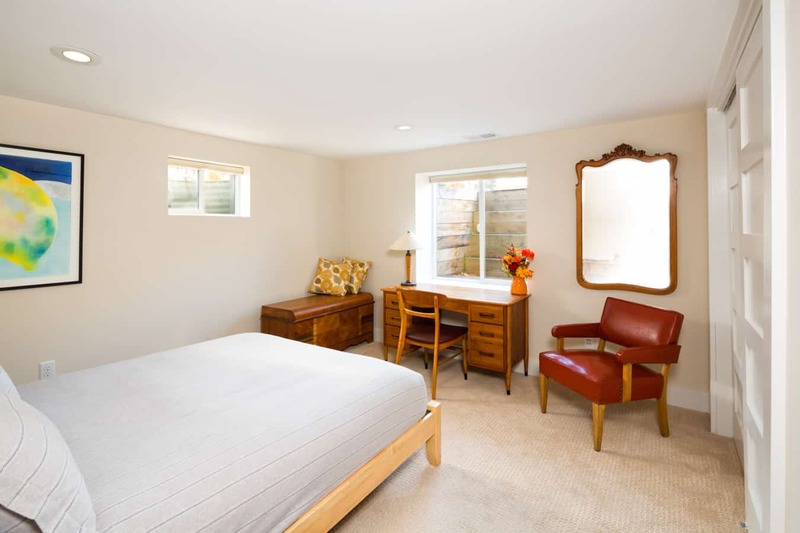 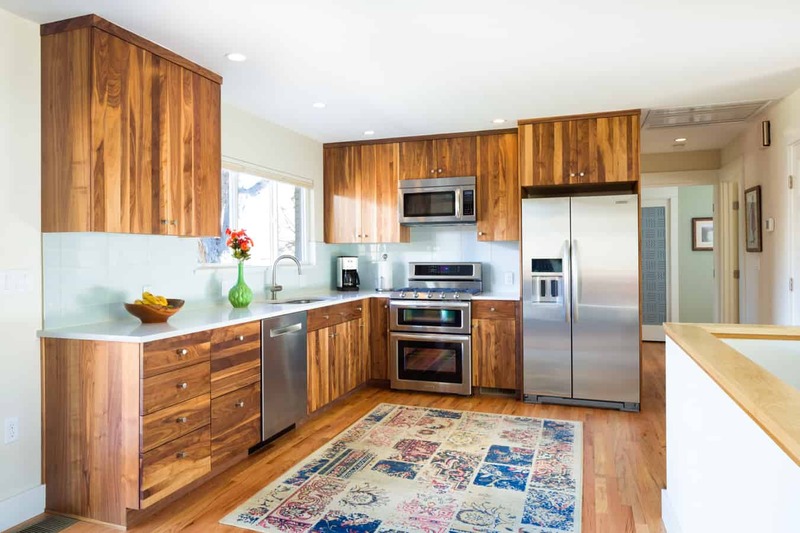 This 1958 ranch style home underwent a complete, to the studs, whole home transformation. 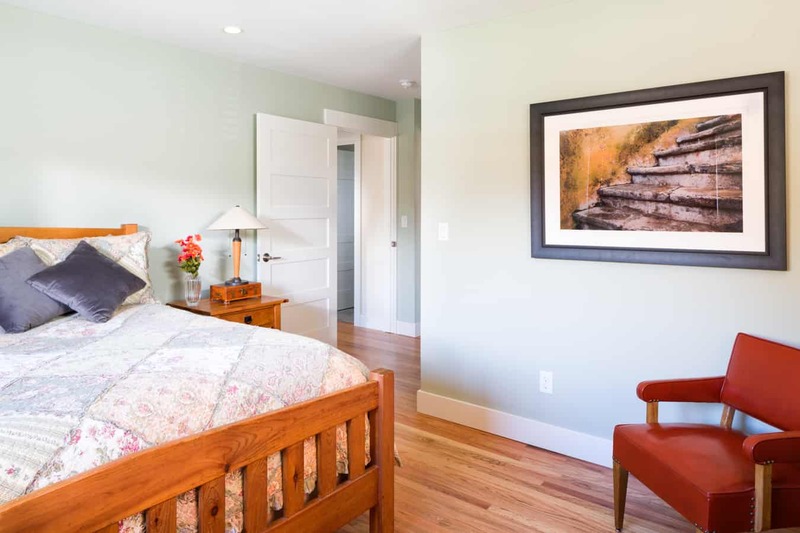 Originally dark and dreary the home is now light and bright. 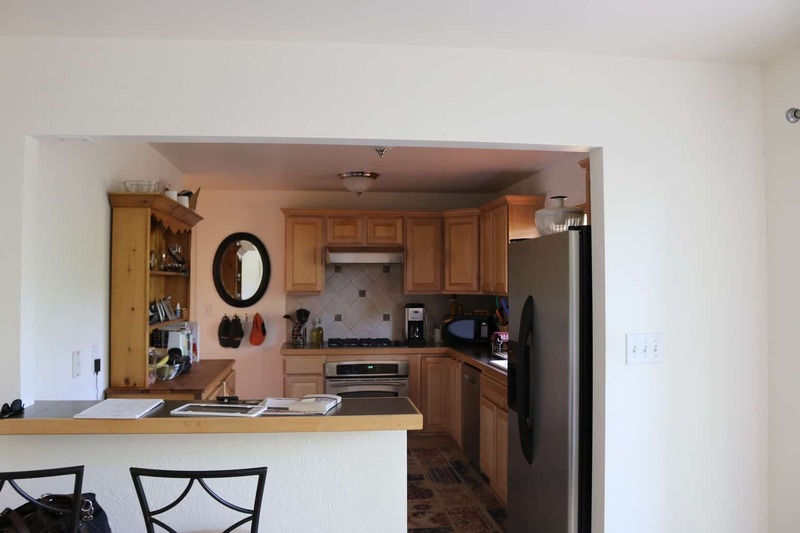 Originally the home had several walls that sectioned off the living space from the kitchen and the rest of the home, making the space feel cramped. 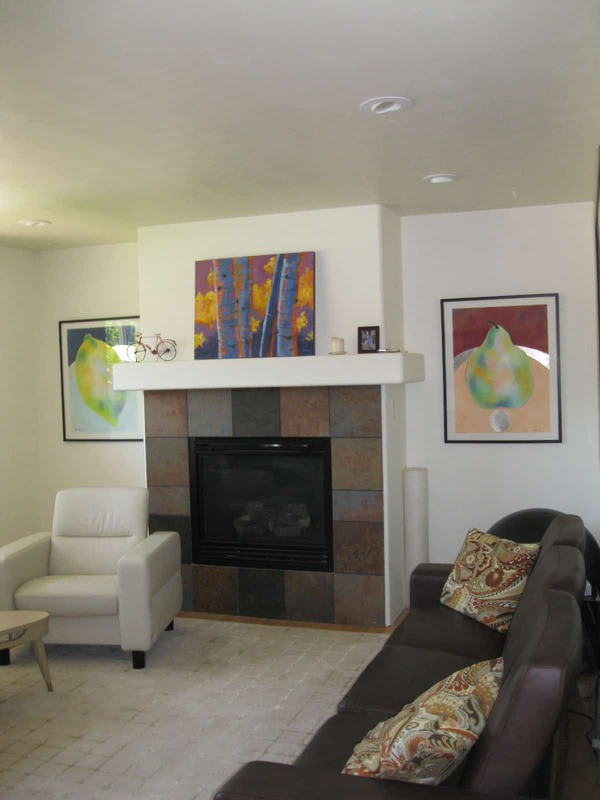 Therefore, several walls were removed and reconfigured to make it an open living area. 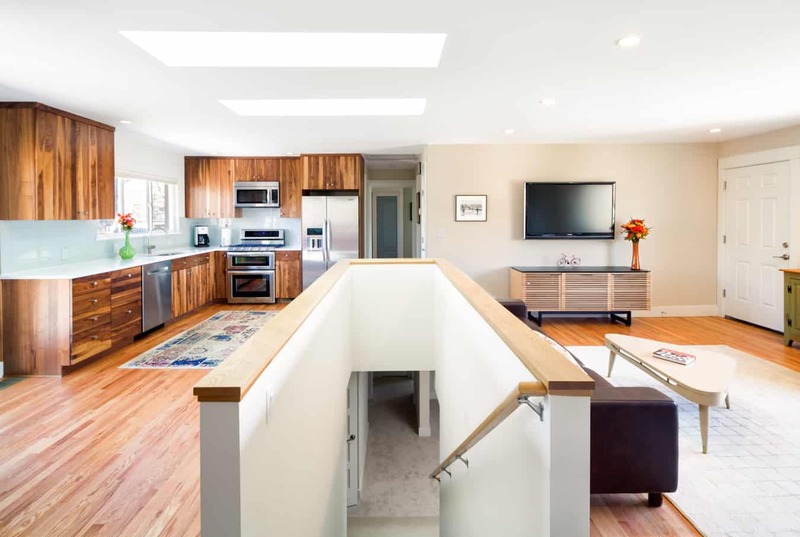 The kitchen location was moved to be more central to the home and allow for better access to the outdoor living area, sky lights were also installed to allow for all day natural lighting. 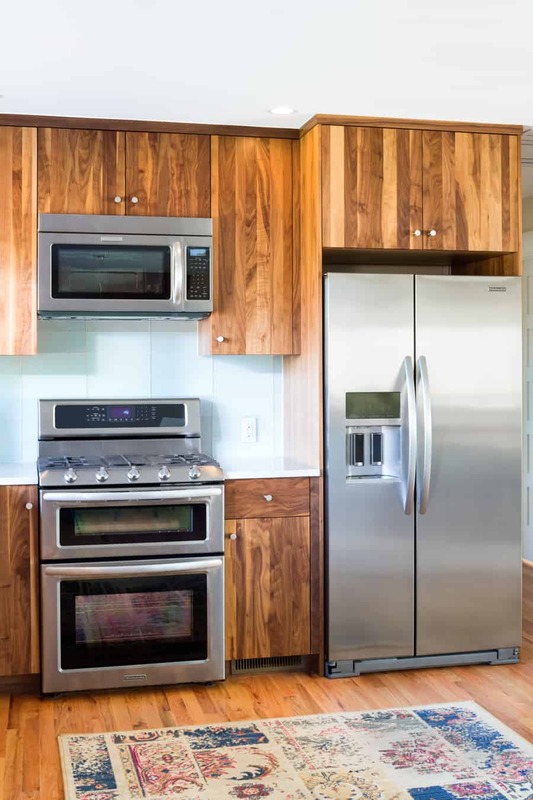 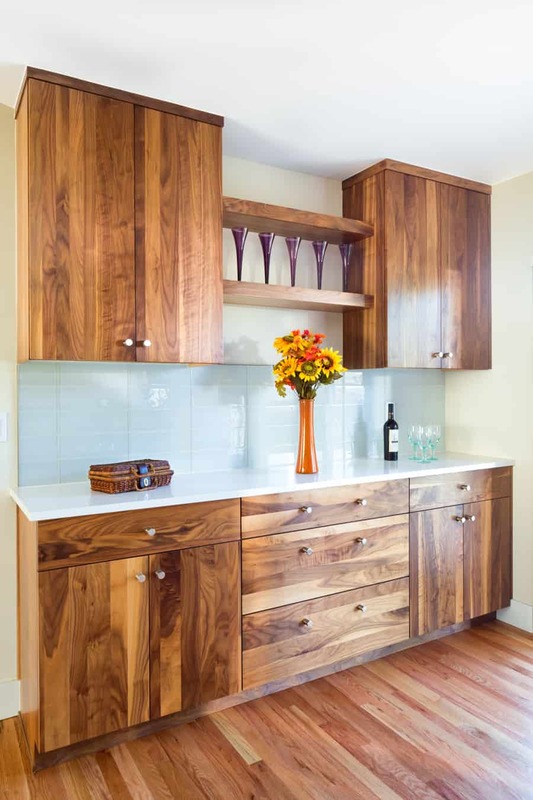 The walnut cabinetry throughout the kitchen warms the space, and a refinishing of the fireplace added to the contemporary feel of the new design. 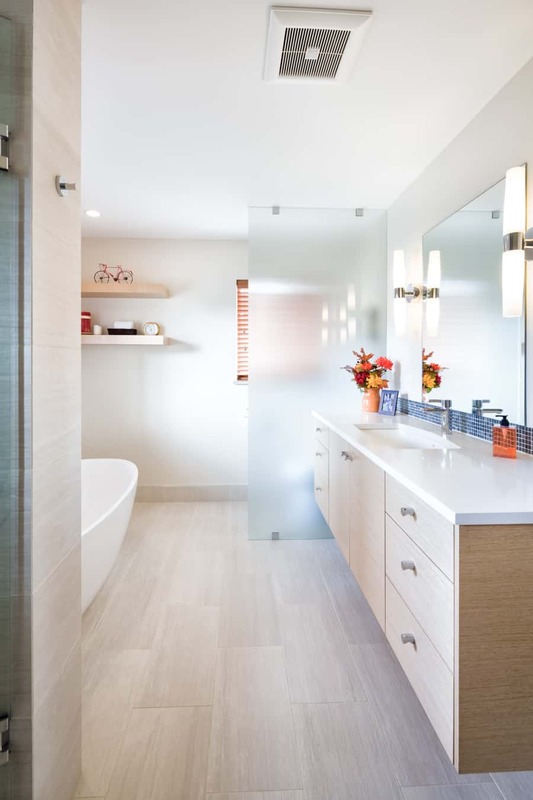 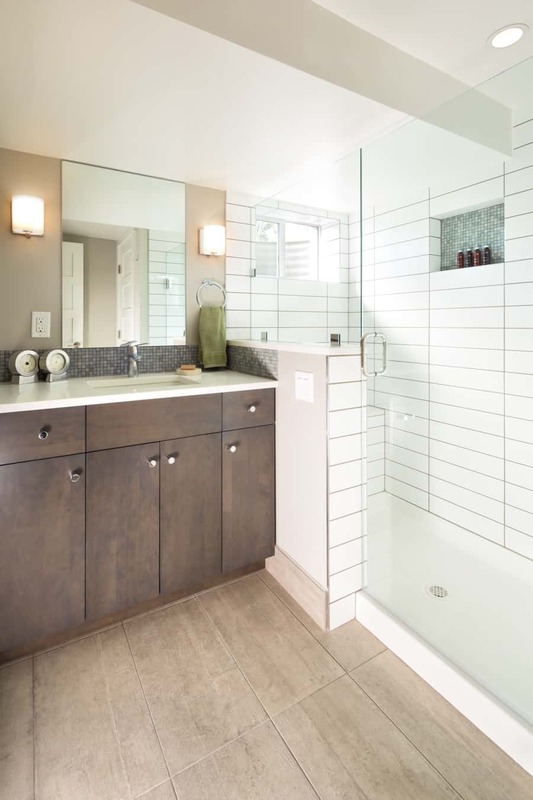 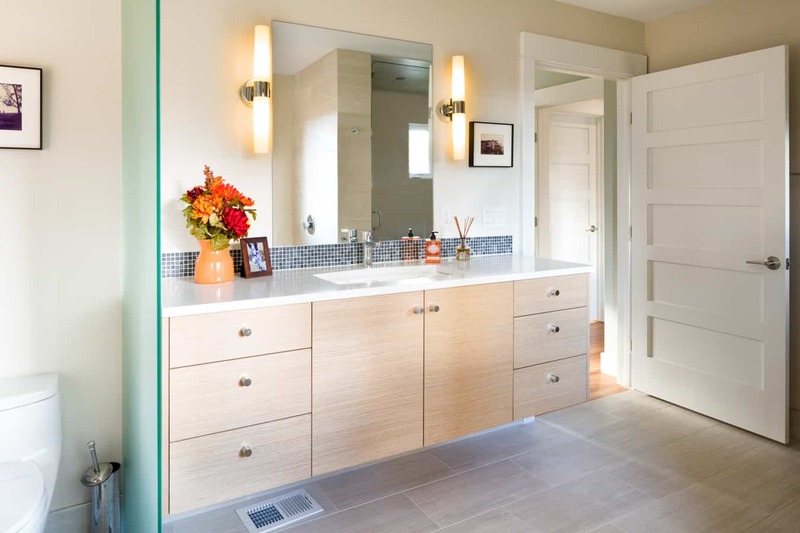 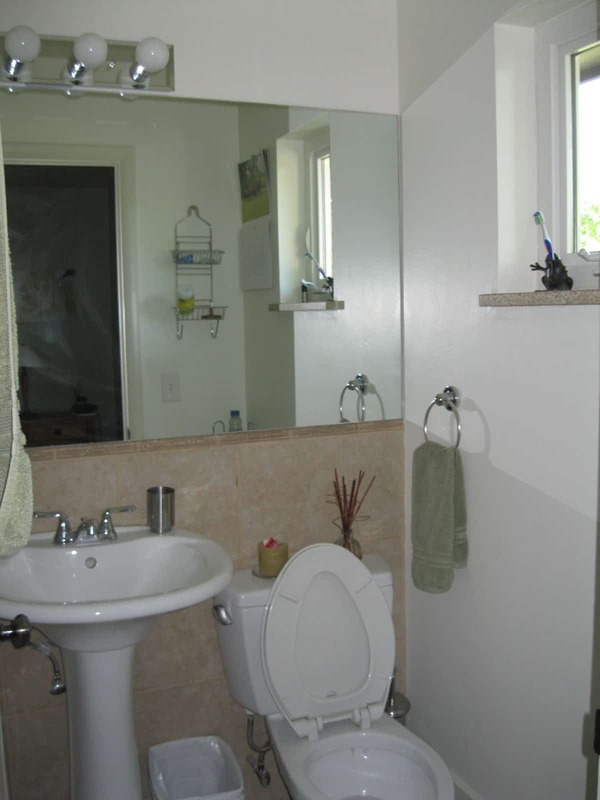 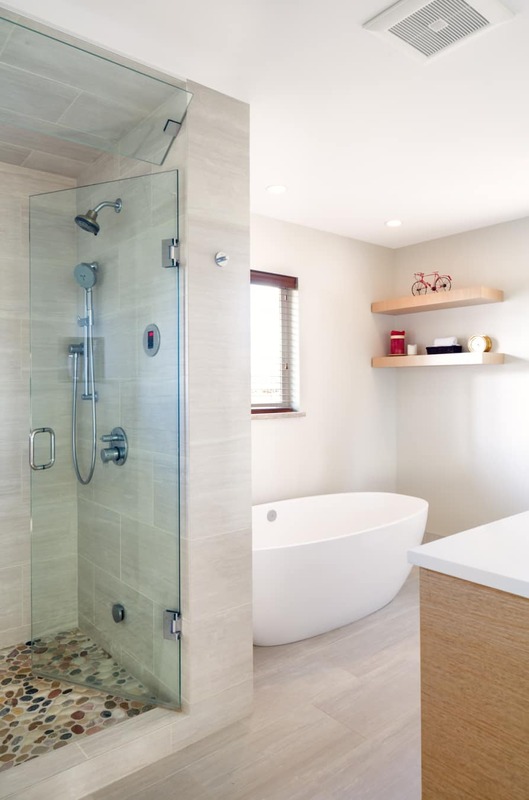 Each of the homes bathrooms were redesigned to be luxurious and contemporary retreats for the home owner and guests. 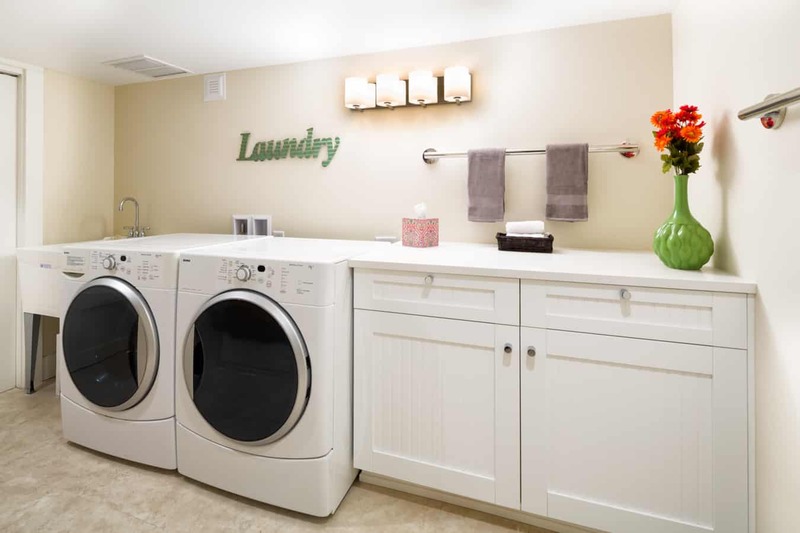 The unfinished basement was updated to include two bedrooms, bathroom, laundry room, entertainment area, and extra storage space.